Vimanika Comics is all set to mesmerise you with Shiva: The Legends of The Immortal (Book 3) – the third installment of the critically acclaimed and highly popular Shiva series. The creative team for this graphic novel promises a visual delight in combination with excellent narrative and well researched mythological adventure. 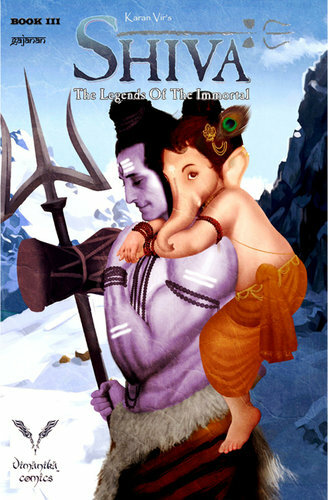 Since the story deals with the birth of Ganesha and his interaction with Lord Shiva, the team has decided to narrate the story in third person and used stylised animation style artwork to appeal to the younger audience as well. 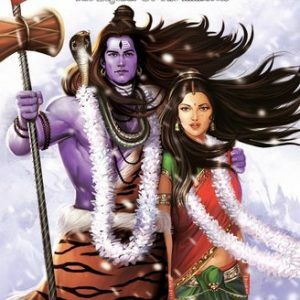 After a prolonged marital bliss, Lord Shiva and Goddess Parvati face their first domestic discord when Lord Shiva enters Goddess Parvati’s bath chamber without her consent and intruding on her privacy. Parvati is furious with Nandi for being unable to stop Lord Shiva at the gates of the bath chamber. She creates her own Gana, Vinayak and assigns him to guard the palace and prevent anyone from entering the palace without her permission. She also gives him a magical Danda, staff filled with her powers for protection. The little boy promises his mother to guard the palace under all circumstances and is even ready to challenge the mighty Lord Shiva to a duel to keep his promise. 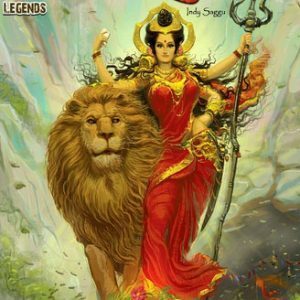 Lord Shiva faces the biggest dilemma of his life where he has to choose between punishing his own son or accepting defeat at the hands of an apparently insolent boy. 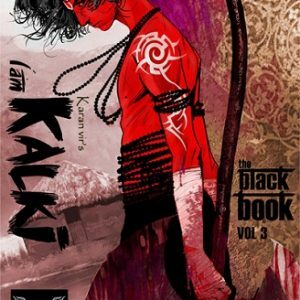 The graphic novel is high on action and drama with lot of exciting fight sequences between Ganesha and the Ganas, Devas, Kartikeya and Lord Shiva. Get set to treat yourself on authentic Indian mythological adventure in true Vimanika style.